We knew that the Nokia Lumia 800 was due to be released in the United Stated early 2012 so it was merely a matter of time before the Nokia Lumia 800 would show up at the FCC for certification though no official date was ever given. What this tells us is that the release of the Nokia Lumia 800 seems to be right on target or even slightly sooner than projected. The FCC filing does not disclose any new information since the Lumia 800 was released overseas a few weeks ago. 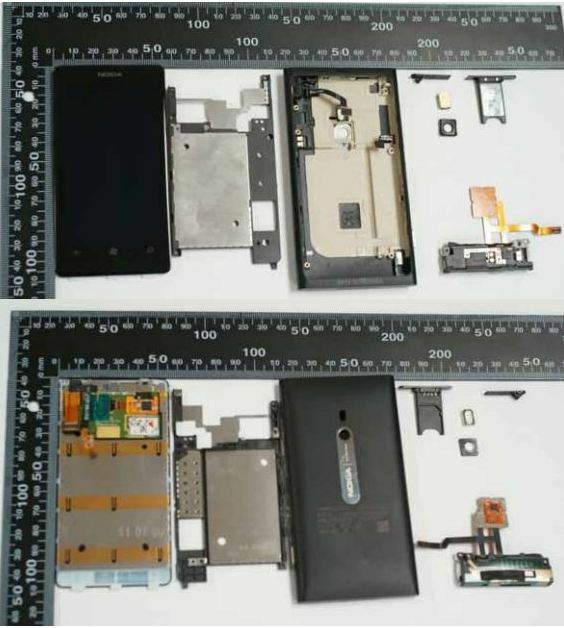 A couple of pictures were also found on the FCC website showing both the inside and outside of the Nokia Lumia 800. All signs are still pointing to an AT&T launch so be prepared folks. Written by: WP7GIRL on December 21, 2011.